Viewers watching the Xbox One reveal on their Xbox 360s were unpleasantly surprised when their active Kinects began responding to commands from the presentation. Microsoft's Xbox One reveal event was viewed by countless gaming enthusiasts eager for a peek at the company's offering for the next generation of consoles. While many opted to simply stream the event online, many others took to their Xbox 360's where the reveal was granted a special spot on the system's dashboard. For some viewers however, watching on their 360s wound up being more a liability than a convenience. 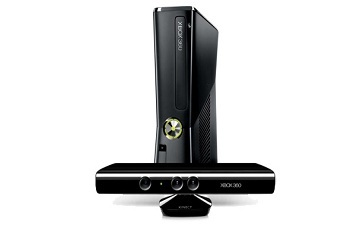 Several viewers sporting 360s with connected Kinects discovered the device was responding to commands being spoken by Microsoft representatives during the live stream. Responses to the commands varied from the video being paused to the console itself being shut down. While some users found the unexpected error to be amusing, others were annoyed. "When the guy on the #XboxReveal stream said "Xbox Live" it activated my Kinect and killed the stream," Tweeted viewer Jason Chen. "Good thinking guys." In the midst of a show touting a new, more integral version of the Kinect, the live stream command errors could serve as an unintentional demonstration of some of the potential pitfalls of relying on voice command that can literally shut down your console with the correct phrase. Granted, Microsoft's conference showed off new ways this technology can enhance gaming and viewing experiences. That being the case, Microsoft is definitely going to want to demonstrate, and thoroughly, that this sort of issue won't be a concern going forward. Kinect for Xbox One is already looking vastly more impressive than the original version, but it would be a shame to find out your Xbox experiences could still be disrupted with a few misplaced words.